If your brand has any kind of online presence, it likely also has a few social media profiles. While most businesses make use of Facebook, Twitter, and even Instagram, many neglect Snapchat. This can be a mistake, since Snapchat is actually a powerful marketing tool if you know how to use it. For one, the platform boasts nearly 200 million daily users, which means it can be the source of many new visitors, customers, and so on. It also offers several unique ways that you can share your links and express your brand to your target audience, in a manner that’s both engaging and organic. In this article, we’ll discuss the advantages of having a presence on Snapchat, and explore what marketing options it offers. We’ll also show you how you can use Pretty Links to complement the platform. Let’s get started! While Snapchat has been steadily growing in popularity since its release in 2011, it still remains largely unexplored territory when it comes to marketing. Brands have been quick to plant their flags across other social media platforms like Facebook, Instagram, and Twitter, but many remain hesitant to use Snapchat in the same way. This is a bit surprising, seeing as Snapchat has almost 200 million users daily, who post over 3.5 billion combined ‘snaps’ every day. The platform also focuses largely on a younger audience, which many brands are keen on reaching. It’s possible that the lack of enthusiasm for the platform is due to many marketers simply not understanding how it works. No one is more keen to overcome this hesitation than Snapchat itself. With the release of Snapchat For Business, there are now plenty of tools for marketers and businesses to use Snapchat in a number of ways. There are even useful guides on what makes Snapchat stand out from its competitors and how its audience uses the platform, to bring inexperienced marketers up to speed. Other than those tools, the best part about Snapchat is that offers several different ways you can express your brand. 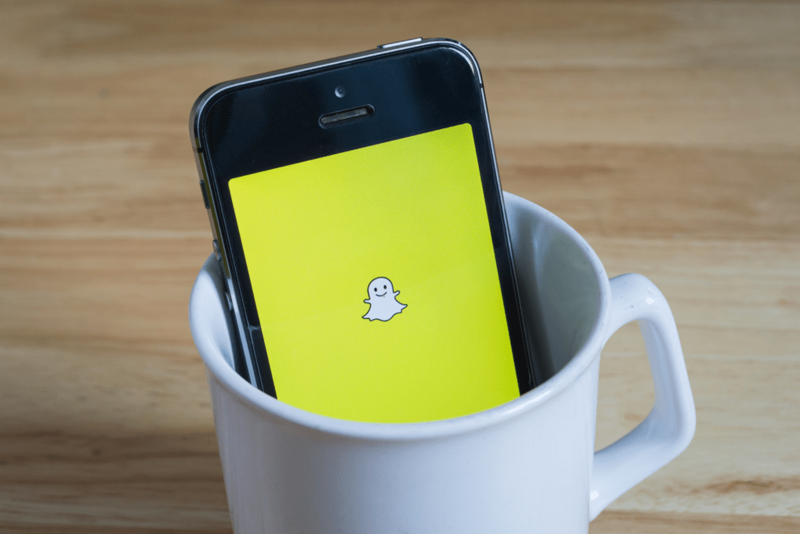 Whether you have a massive marketing budget, or you’re just a small business that wants to raise brand awareness, Snapchat can be worth a little time investment. When it comes to marketing on Snapchat, there are several different methods available to you. Let’s look at three of the most effective options! The simplest way you can market on Snapchat is also one of the most useful. Unlike Instagram, Snapchat enables all users to add links directly to their posts, which makes it easy to share content with your audience. 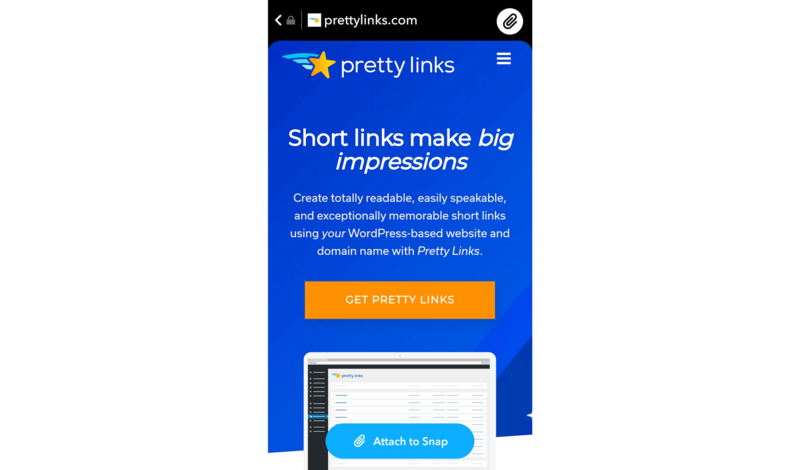 If you combine this feature with shortened URLs created using Pretty Links, you can also track how many clicks your posts generate. As you can imagine, this enables you to offer information on just about anything you want. You can use these links to share blog posts, promote your deals, products and services, or simply direct visitors to your website. 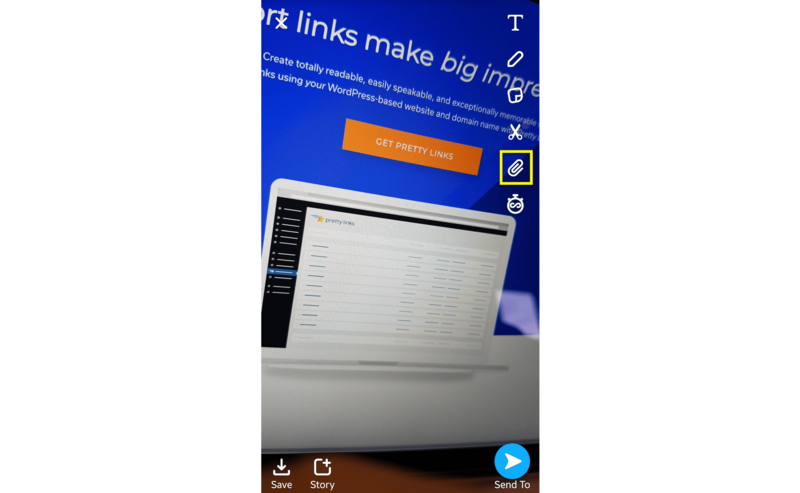 Snapchat provides you with several methods of creating advertisements through its Ad Manager. As the name implies, Snap Ads are advertisements that display in users’ Snapchat feeds. Dubbed ‘the original vertical ads’, these let you link directly to a website, play a long-form video, and even add attachments that users can download or install directly from the app. This enables you to get more creative with your ads than on most other platforms, as it lets you make use of Snapchat’s inherent playfulness. For example, you can create your own filter that is specific to your business. This filter can even be set so that it’s only available to users in a specific area, by applying a ‘geofence’. This is especially useful for brick-and-mortar businesses that want to drive more customers to their outlets. 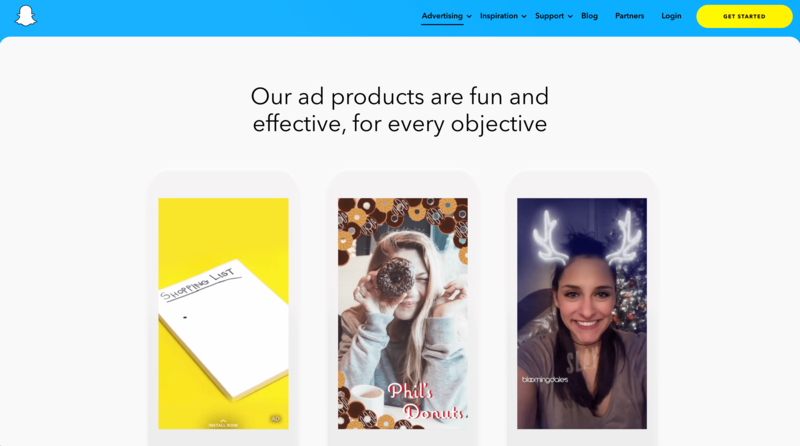 To help you out, Snapchat provides not only a filter creation editor, but a full video editing suite called Snap Publisher that lets you create engaging ads quickly. It even runs in your browser, so you don’t have to download or install additional software to use it. Snapchat lenses let users get creative with effects, and can also be used by marketers. One of Snapchat’s most beloved and oft-used features are the lenses. These are effects that users can apply to their snaps, which add new, fun elements onto images and videos. You’ve probably seen a few of these yourself if you’ve ever used Snapchat, with users adding dog ears and rainbows over their faces. The best part is that you can create and submit your own sponsored lens. This naturally requires more time, effort, and budget than the previous options, but it can also offer the most benefits. By creating something that users can engage with directly, you get your brand seen in a way that’s fun and slots in perfectly with how they were already using the service. In turn, this helps you raise awareness and trust in your business. In order to submit a lens, you must first create one that matches Snapchat’s ad policies. This will require you to, among other things, add your logo to the lens. Once you’ve submitted the lens and it’s been approved, you can use it in your campaigns through the Ad Manager. 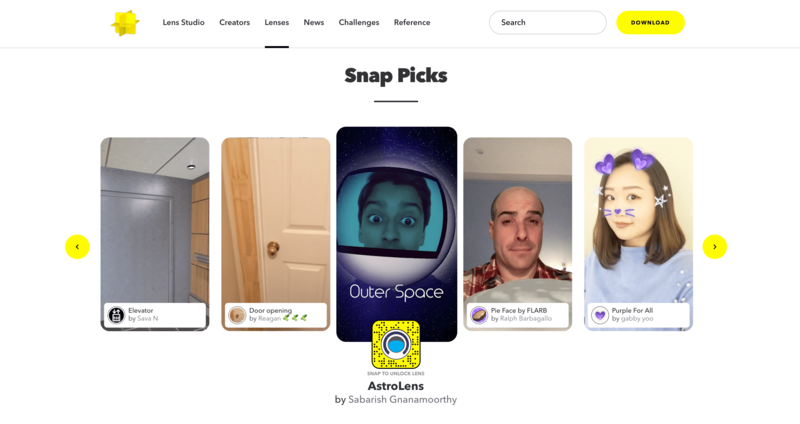 With its abundance of daily users who are used to engaging directly with the platform’s content, Snapchat offers a lot of potential for online marketers. Despite this, many steer clear of the platform. However, if you understand and manage to leverage the platform’s benefits, you could see an increase in both engagement and conversions. 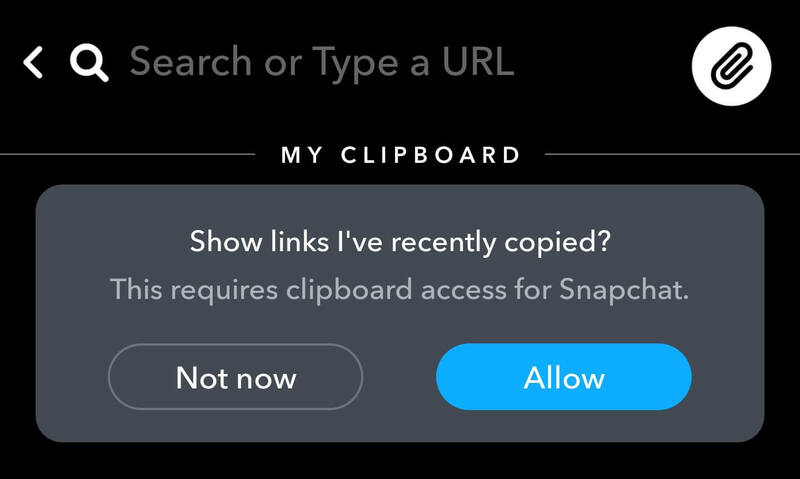 Adding links to your snaps. Do you have any questions about using Snapchat in your marketing efforts? Let us know in the comments section below!